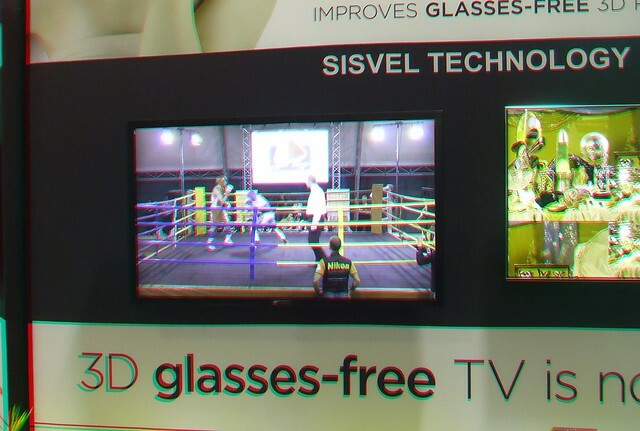 Here is a red/cyan 3D anaglyph photo (red/cyan glasses required to view in 3D) of a glasses free 3D TV display. This works because the glasses free 3D technology uses tiny vertical lenses to send separate images to the viewer’s left and right eyes. 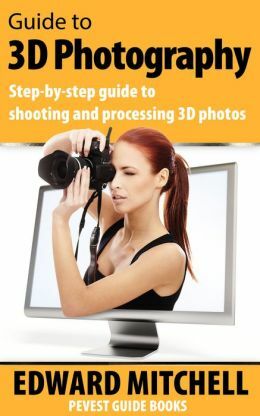 The Fujifilm W3 Real 3D camera’s lenses are roughly the same distance as human eyes, and by positioning properly, it captures the separate left and right images. 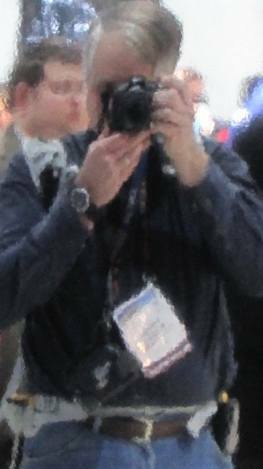 This was taken at the 2014 National Association of Broadcasters (NAB) trade show and convention in Las Vegas, April 2014.